It was hard breaking the list down to merely five, but I feel pretty strongly about my choices! Definitely good reads. Here are the others I've read over the past year, nearly half of them being childrens picture books. Goodbye to 2017! 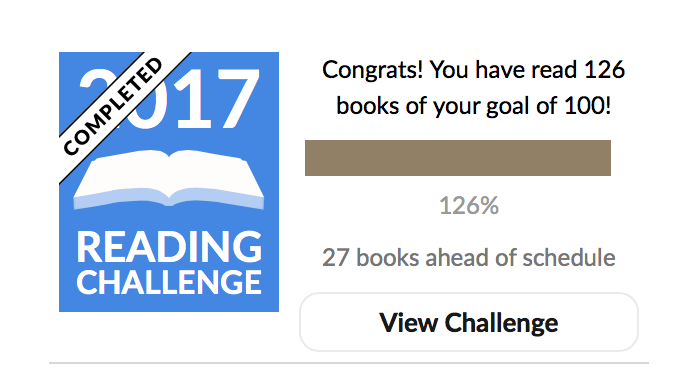 It's been a great year of reading.